TrueGivers & Bloomerang Integration - read all of the details here. This week we are proud to announce a direct integration between TrueGivers and Bloomerang. The timing couldn’t be better — this integration will make sure all your year-end appeals and follow-ups are actually delivered to your donors. Plus… you’ll find new data that can add even more to your bottom line. We create a dashboard that shows a high-level analysis of your file and helps you evaluate your organization's data health. 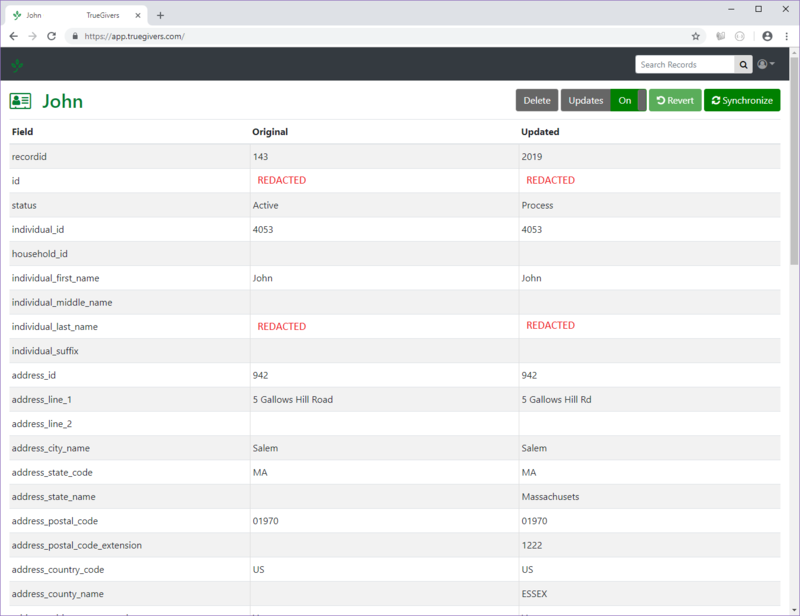 In mere minutes, we'll finish a full scan and update records in your database with current addresses, deceased information, and Individual & Household Data Enhancements. Continue reading to learn more about how the TrueGivers Data Stewardship Integration can help your organization. There's good news: you aren't alone in practicing good data stewardship. Sustainable data stewardship depends on collaboration and mutual understanding between Applications (tools and services), Developers (the "makers"), and Organizations (that's you!) 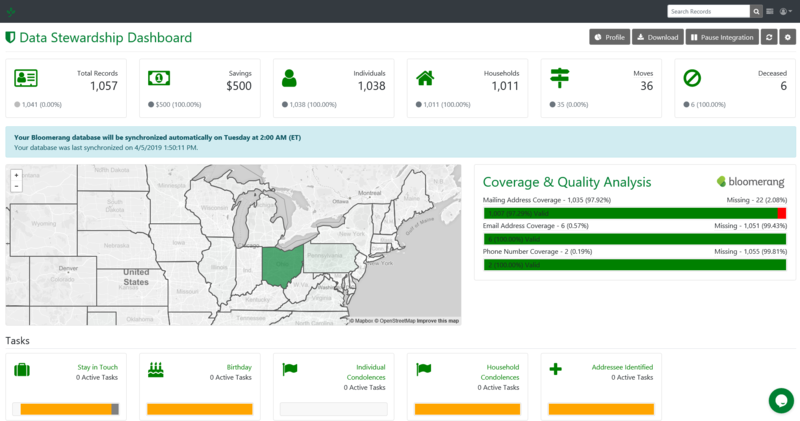 Technology partners like TrueGivers have tools in place to help you assess your data health and practice better data stewardship automatically. The result for non-profits? Wasted money. Lost revenue. Lost donors. This is senseless waste. To add insult to injury most organizations pay far too much for this basic service. That’s one reason why TrueGivers provides a highly accurate and very low-cost automatic system for Bloomerang users. The TrueGivers & Bloomerang integration automates data stewardship for non-profits like yours. That means that once you complete the simple, 5-minute setup process, you're done! Are you an existing Bloomerang customer? Activate your integration between TrueGivers and Bloomerang, and keep your database updated automatically!